She was unfaithful. How can I trust again? I have been in a serious relationship with a girl for over two years now. Last year I went overseas for a few months by myself to work. While I was there she couldn’t handle the loneliness and she met another guy. I was devastated when I found out I went home right away. There was no recovery in sight. I moved back to my home town where my family was to try and recollect myself. Since then we have gotten back together. She moved to my location and we are starting over. I have recently found out that there was more than one person that she was involved with. The second person is a friend of mine. This was happening as we were making plans to move her back to me. I am terrified to leave her for even a few days at a time. I am having a serious issue with trust. She was unfaithful. How can I trust her again? I do love her with all my heart and I do want to spend the rest of my life with her. How can I get over the trust issue? I feel myself slipping into depression every now and again every time I think about who she reacted to our time apart. I’ve been thinking about changing our anniversary date to when we got back together rather than leaving it as the date when we first met. She is a different person. The girl I fell in love with would never have done these things. Unfortunately, she is the same person you met. You just did not know or want to know this side of her. You fell in love with what you wanted to see and believe was true. Then real life contradicted that. Sorry to be blunt here, but nobody matches the ideal that their partner falls in love with. But being unfaithful is over the top in terms of what is acceptable. It violates ones fundamental sense of creating a meaningful intimate partnership. I can understand and sympathize with what you have gone through. My guess is that this girl is very young on the emotional level and needs to learn how to be more authentic in her communication, more whole within herself, and less needy of being with a guy. She needs to grow up and learn to stand on her own two feet, emotionally speaking. Not unusual for a girl in her early to mid 20’s, by the way. Painful for you, in any event. The trust issue is something that is very delicate and easily broken, as you have experienced. Being alone with your inner thoughts and brooding on what she did is not healthy. 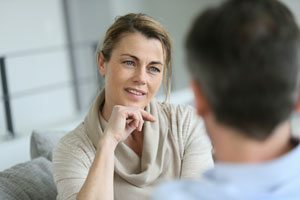 I would hope for you to be in regular contact with an older male mentor, who can help you sort out your thoughts and feelings. Someone you trust and admire. In terms of the relationship itself, it would be good if you can find a way to honestly talk with her about whether you are both committed to salvaging this relationship and whether you are both ready to face the uncomfortable task of rebuilding trust. It is not going to be a picnic, as you already know in what you are going through. And you cannot sweep this under the carpet. Rebuilding trust will require each of you to get real clear on who you are — and what your real choices are. It will require you each to address what has happened until it is emotionally resolved in both of you — and you can truly move on with a deeper sense of knowing each other. Right now you are left wondering who she really is. And I have no idea what is going on for her. If the two of you decide to rebuild, use this as an occasion to truly build a real and meaningful relationship — and to build the skills and emotional maturity you each need to bring to the table to create that kind of lasting relationship.